A google maps mash up with tracks, the main lakes, the Cuenca Guayaquil road and the key points. This page can be used to prepare a visit to the park. Use the Tracks tab for more information. A description of the main hiking tracks with walking hours and detail maps. For GPS users there are waypoint to download. Weather, climate and useful tips for your stay in Cajas. 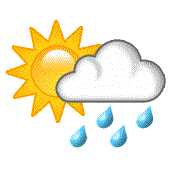 Precipitation, solar radiation, humidity, temperature and atmospheric pressure are addressed. Information on Cajas parque nacional. All kind of questions and answers .. The information on this web site has been carefully checked and to the best of our knowledge is accurate. However, details are subject to change and the owner of parque-nacional-cajas.org cannot be responsible for such changes, or for errors or omission. We cannot be responsible for any consequences, damages, losses or personal injury arising from the use of the maps, data or information on the parque-nacional-cajas.org web site.